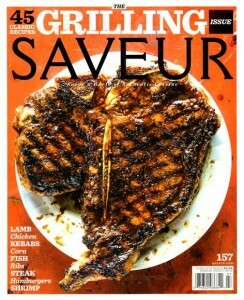 Saveur Magazine is a leading food and wine magazine providing coverage of various cuisines from all around the world. Those who are interested in preparing tasty, unique, artful food are not likely to be disappointed. Adventurous eaters take note – this monthly publication (nine issues per calendar year) explores wide-ranging food and wine topics in great detail each and every issue. Saveur is also well known for its top-notch photography featuring authentic meals from all corners of the Earth. I love the photography from Saveur. I love food, but honestly the photography is really impressive. Saveur is something else! The best thing about Saveur is the fact that they have timely seasonal issues. The summer grilling issue is the best and the only one I really wait in anticipation of! I always get a subscription to Saveur but this is the lowest price I have seen on it anywhere! The price looks very affordable. I`m going to subscribe this magazine right now. Thanks for sharing!